Product prices and availability are accurate as of 2019-04-25 17:03:19 UTC and are subject to change. Any price and availability information displayed on http://www.amazon.in/ at the time of purchase will apply to the purchase of this product. 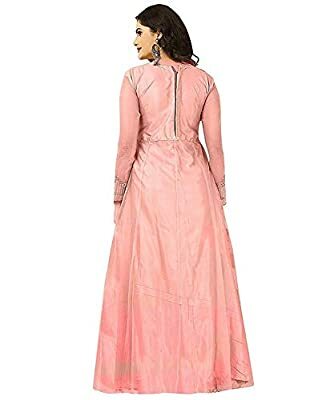 This semi-stitched salwar suits/gown set from varudi fashion is stylish, comfy. A worthy addition to your ethnic wardrobe created from the finest net fabric with embroidered work, to provide your comfort and style. Look stunning in this ethnic wear cloths by varudi fashion will instantly catch your casual look. Made from net fabric, it is light in weight and will be soft against your skin. This salwar suit/gown can be teamed with matching sandals and a clutch.